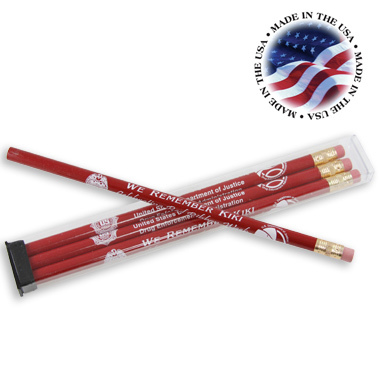 This #2 red pencil is printed with "We Remember Kiki" and the DEA badge and seal. Packaged in a clear tube of three pencils. Contact us for bulk pencil pricing.